The all new Panasonic Lumix DMC-GF5XR 12.1MP Digital Camera provides you with Live MOS sensor that features high sensitivity signal processing. The readout circuit and photodiode circuits are optimized to eliminate photo noise generation throughout the processing. Completing the noise reduction system is the NR circuit which removes any noise left at the final stage of processing. What does that mean? Cleaner, clearer photographs, every time! The Panasonic Lumix DMC-GF5XR 12.1MP Digital Camera is a sophisticated image-making photographic and video machine disguised as a mild-mannered advanced compact camera style. 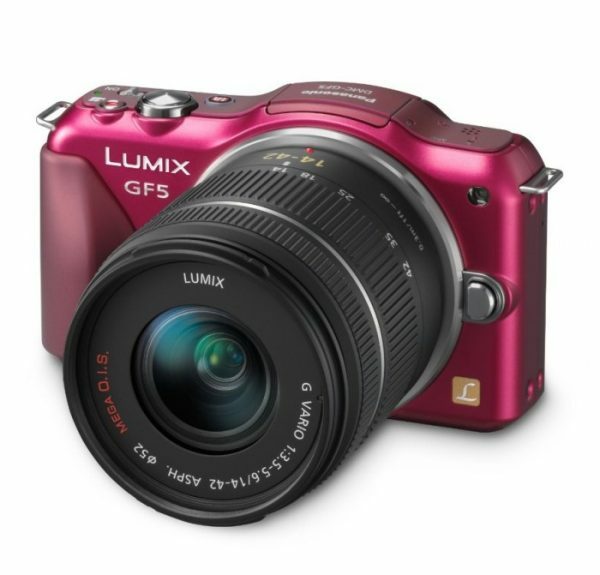 The Panasonic DMC-GF5X is a lightweight (less than 8 ounces) camera that couldn’t be any easier to operate. Panasonic has included automated scene, face, motion, subject and light detection systems to give you the best photo results possible, each and ever time! To top off this spectacular camera, enjoy shooting beautiful full HD 1,920 x 1,080 videos! The Panasoic AVCHD format features almost twice the recording time in HD quality than the conventional Motion JPEG and excels in the compatibility with devices like HDTVs or Blu-ray Disc players.